In 1995, writer/director Michael Mann brought together two of the silver screens most influential, versatile and celebrated actors in the crime epic Heat. A somewhat remake of his 1989 TV movie L.A. Takedown, Mann reached his creative peak turning in a superbly written, exceptionally directed, and unconventional crime saga about the relationship between cop and criminal and the people who shape their lives. 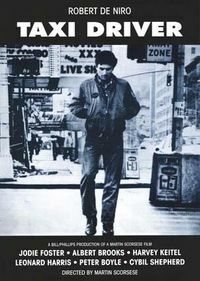 Robert De Niro stars as Neil McCauley, an ice cold, disciplined master thief, who grabs the attention of dogged and bombastic police detective Lt. Vincent Hanna (Al Pacino), after a carefully planned armoured car robbery involving the bearer bonds of a shoddy corporate millionaire (William Fichtner) turns into an un-necessary blood bath. With the determined Hanna on his back, McCauley must carefully plan his next score, while also having to contend with the threat of a rogue former member of his crew (Kevin Gage), as well as the affections of lonely book store clerk, Eady (Amy Brenneman). Meanwhile Hanna’s marriage to Justine (Diane Venora) is falling apart due to the commitment to his job; an ex-con named Don (Dennis Haysbert) struggles with life on the straight and narrow; and the gambling addiction of McCauley’s right hand man, Chris (Val Kilmer) leads his wife Charlene (Ashley Judd) to have an affair with shoddy business man Marciano (Hank Azaria). In Heat, Mann’s famed attention to detail can be seen in every shot with thanks to Dante Spinotti’s impeccable cinematography. Elliot Goldenthall has composed an emotive score (with assistance by pop artist Moby), and the sound, editing, and set design (as highlighted in the excellent shoot out between the cops and crims in downtown L.A.) is outstanding. A stellar supporting cast -with special mention to Val Kilmer, Ashley Judd, Diane Venora and Jon Voight- all give great performances. 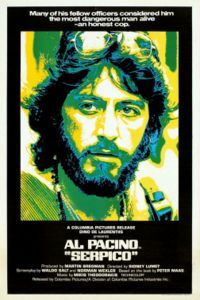 But the real highlights (and drawcard) belong to the excellent turns by master thespians De Niro and Pacino. Playing roles that are tailor made to their strengths, both actors give exceptionally well crafted yet drastically different interpretations of two similar men on opposite sides of the law. 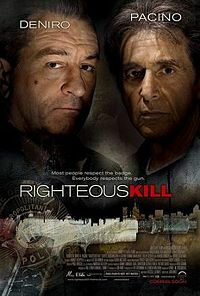 De Niro puts in a first rate performance as the introverted and sociopathic arch-crim. Living by the creed not to “get attached to anything you are not willing to walk out on in 30 seconds flat if you feel the heat around the corner”, McCauley is devoid of any close relationships or business that could jeopardise his lifestyle. Yet his falling in love clashes against his disciplined nature which makes for intriguing viewing. With De Niro providing the depth, Pacino supplies the momentum in spades. A flashy extrovert who is tenacious in his work, Pacino’s Hanna is constantly on the street looking for leads, grilling his sources into submission with his wild mood swings. In a landmark scene where both master thesps share the screen for the first time, Hanna and McCauley share their opinions on their work and personnel lives while sizing each other up over a cup of coffee. It is an understated yet brilliant scene which shows what drives both men and how despite the respect they have for each other that neither one will hesitate killing the other when the moment comes. Pacno and De Niro have both played their fair share of cops and criminals before, but rarely do we see either of them carry out these types of roles with material as good as this be it on their own let alone together. That on its own makes Heat a great film.